The Germans could not believe their eyes. The English infantry were advancing at walking pace in four upright ranks, a yard or so apart from each other. They were sitting ducks. As the German machine guns rattled into life, the English died in their hundreds. On the first day of the battle, those parade-ground advances caused the greatest number of casualties of any single day in the history of the British Army. 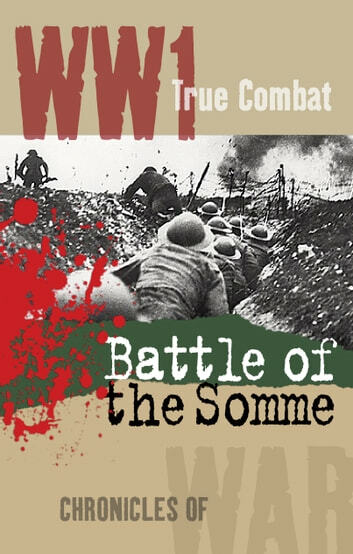 Read about the first Battle of the Somme, a battle that went on to become a byword for the senseless waste of life on the Western Front in this tale of True Combat. An account filled with the courage of war, and interwoven with first hand experiences that take you into the heart of battle. This book is a quick overview of the Battle of the Somme and does not go into any detail but rather gives some highlights of this horrific conflict. A good starter for anyone who wants to delve into the details.